Why visit Basel in December? 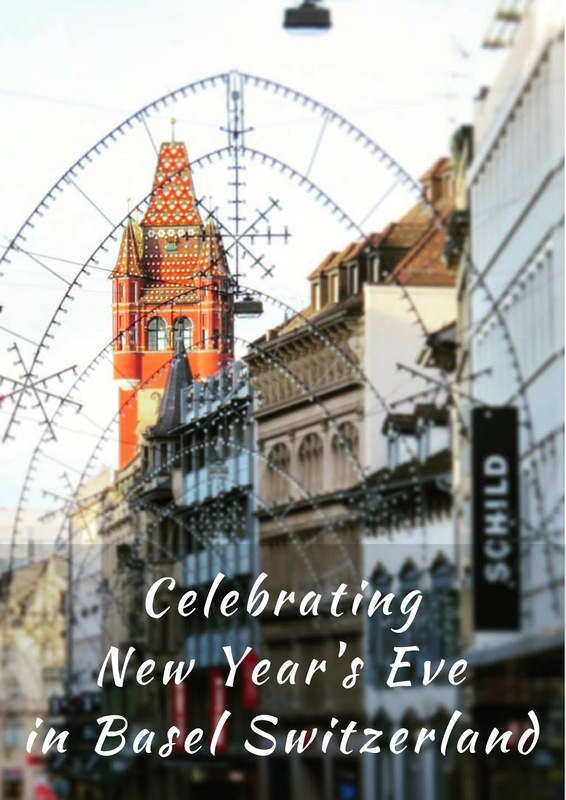 It's the perfect excuse to celebrate New Year's Eve in Switzerland. How do people celebrate Near Year's Eve in Basel? 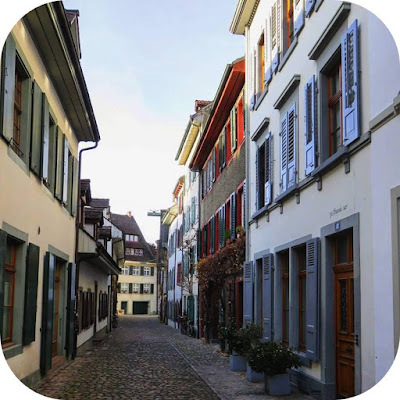 We aimed to find out by planning a trip to Basel in winter. We like to celebrate the holidays by spending Christmas in a new place pretending to be locals for a short while. What do locals do? They go someplace nearby to ring in the New Year. 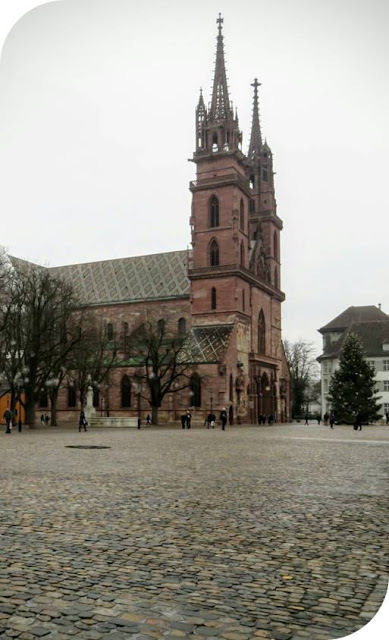 We spent Christmas 2015 in Stuttgart and Strasbourg. 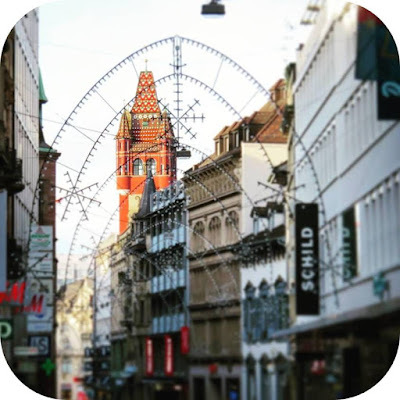 In planning the trip, we heard that Basel, Switzerland throws a grand New Year's Eve celebration and would be a great place to ring in the new year. Basel also features cheap flights back to Dublin. Sold! We spent the final two days of our Christmas - New Year's trip in Switzerland. Let me tell you more about Basel and how we celebrated New Year's Eve Swiss Style. Basel features a quaint old town complete with a bright red Rathaus (Town Hall) building. The interior courtyard was open on the day we arrived so we popped in and admired the statues and ornate pillars. All roads in Basel seem to lead to the Town Hall square which is also a public transportation hub. There are a variety of shops and restaurants to explore in the vicinity. I don't normally think of Switzerland as being particularly edgy, but that's the thought that came to mind ('edgy') when we stumbled upon this Rock N' Roll mural on a wall of a back alley in Basel on New Year's Eve. Lemmy from Motörhead seems to almost leap off the wall. Perhaps there is an edgy underside to Switzerland after all, at least in Basel. 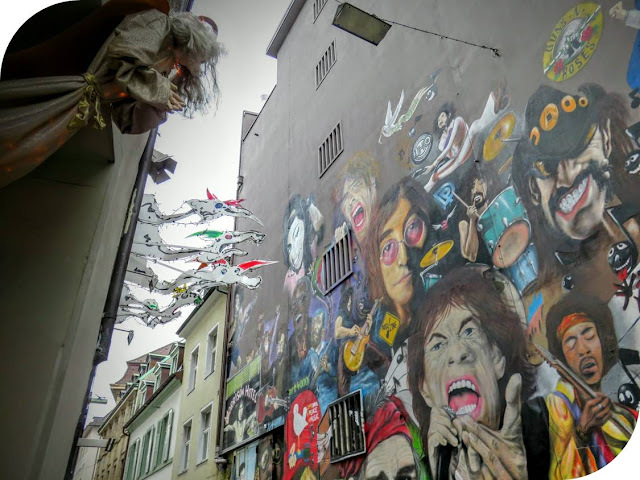 The street art may be edgy in Basel but there are other aspects that are purely whimsical. We ate dinner on New Year's Eve at Zum Braunen Mutz Brasserie. The restaurant features traditional Swiss fare at reasonable prices (reasonable for Switzerland, that is...). 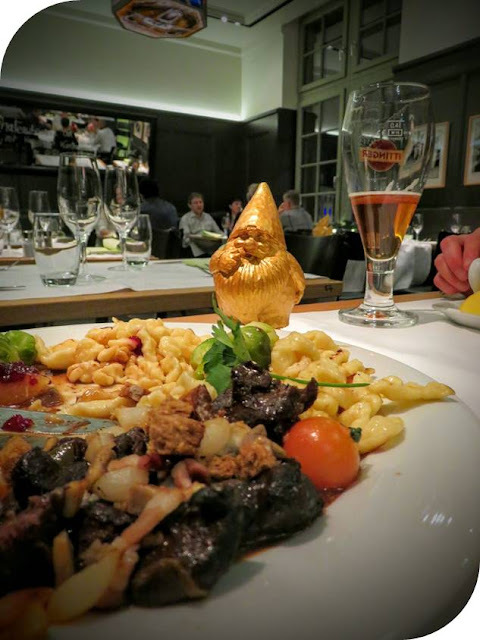 Each table was adorned with a whimsical golden gnome. I loved this little touch which added a quirkiness and humor to our holiday evening and brought a smile to our faces. The feeling seemed to rub off on all those around us. The staff was super friendly and also prone to a little light weight humor. Pigs are equated with good luck in Germany, Austria, and Switzerland. Little marzipan pigs are often purchased on New Year's Eve and given to friends and family to wish them "Viel Glück!" in the new year. 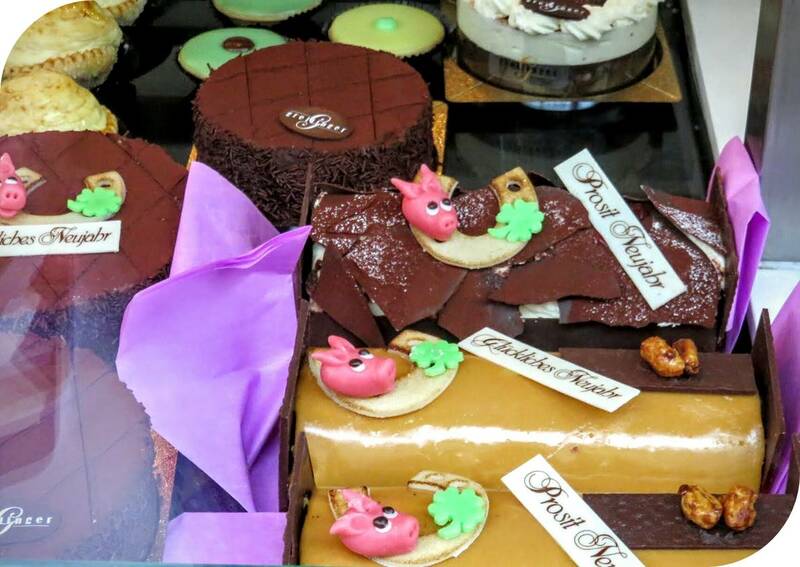 We actually bought ourselves a decadent chocolate pig cake. A little good luck can't hurt! There is one stereotype about the Swiss that defnitely held true on our visit: the stereotype that everything runs exactly on schedule. 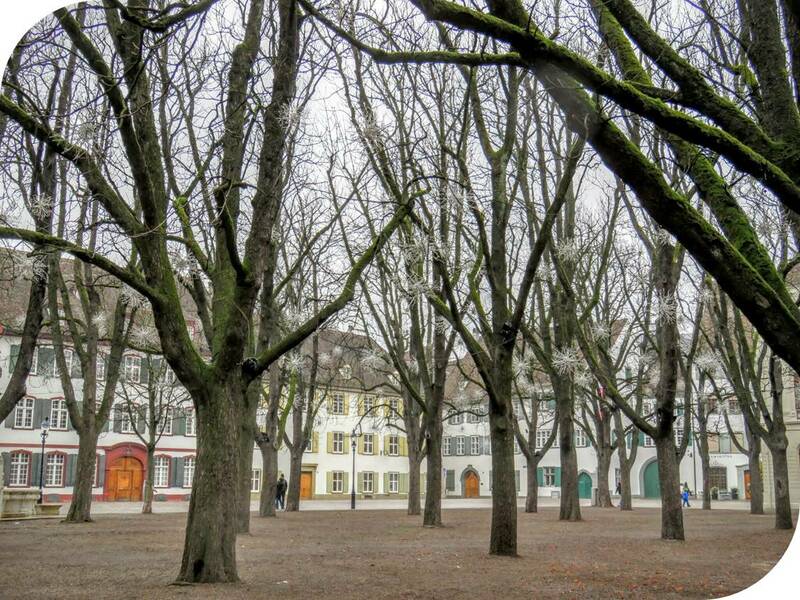 We arrived at the Münsterplatz where the New Year's Eve festivities were scheduled to commence at 11:30 pm. The clock tower on the cathedral ticked over to 11:30 and the musicians on the balcony immediately began playing a serious classical tune. At exactly 11:50 pm (and not a second before! ), the church bells began to toll. At the stroke of midnight everyone in the audience cracked open their champagne, and started exchanging pigs to usher in an auspicious new year. At exactly 12:30 am, a fireworks show commenced over the river. All the festivities ran in a tightly choreographed fashion that felt, well, Swiss! 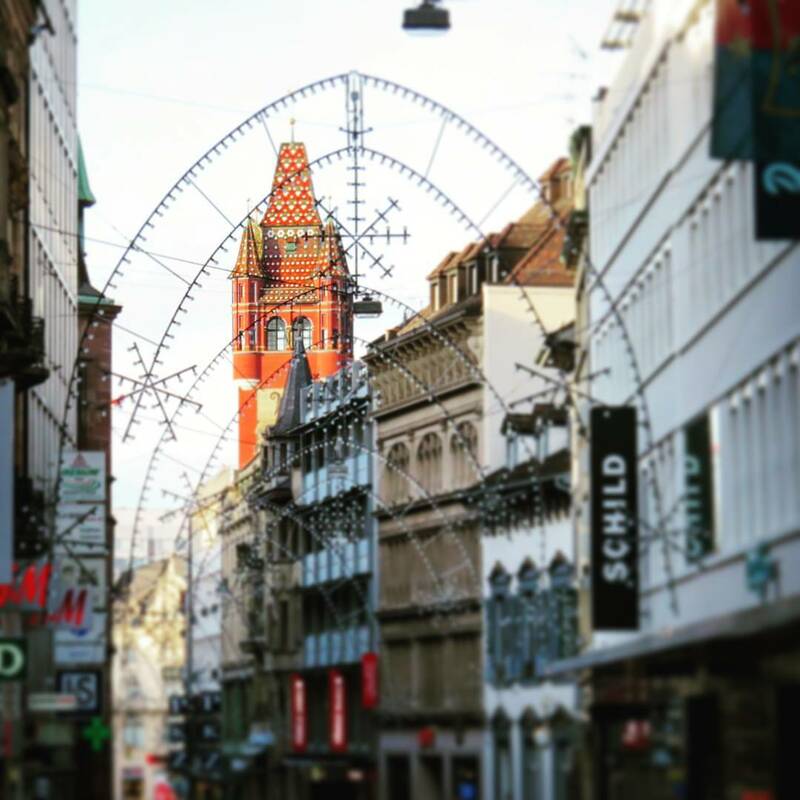 New Year's Day in Basel is quiet with most everything closed for the day. The upside is that there are way fewer people around so it's possible to explore the city without being disturbed (not to mention getting some nice pictures in the process!). We went back to Münsterplatz and had the place to ourselves. I mentioned before that there was a surprisingly whimsical feeling to Basel. The Tinguely Fountain positively reinforces this image. On New Year's Day, we wandered over to Tinguely Fountain and watched as the nine mechanical elements flailed water around with reckless abandon. Each element seemed to have it's own personality. I could have stood their for hours, mesmerized! Old Town Basel features quiet, narrow cobbled lanes. It's fun to pick a lane and see where it takes you maybe even getting a bit lost along the way. The bright shutters on the buildings are positively delightful. 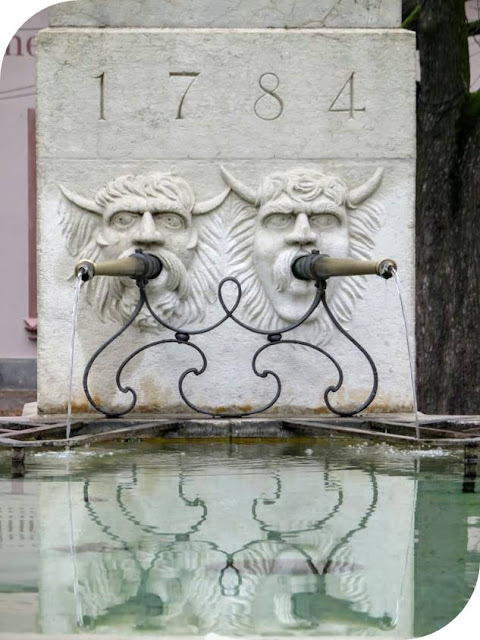 Basel is a city of fountains. We've already talked about Tinguely Fountain which is a more modern creation. Walking around the Old Town we discovered a wide array of fountains to catch our fancy. The fountains gave us a good excuse to just walk around and explore at will on New Year's Day. We never knew what we might find behind the next corner. Should Auld Acquaintance Be Forgot...Let's Make Some New Friends! 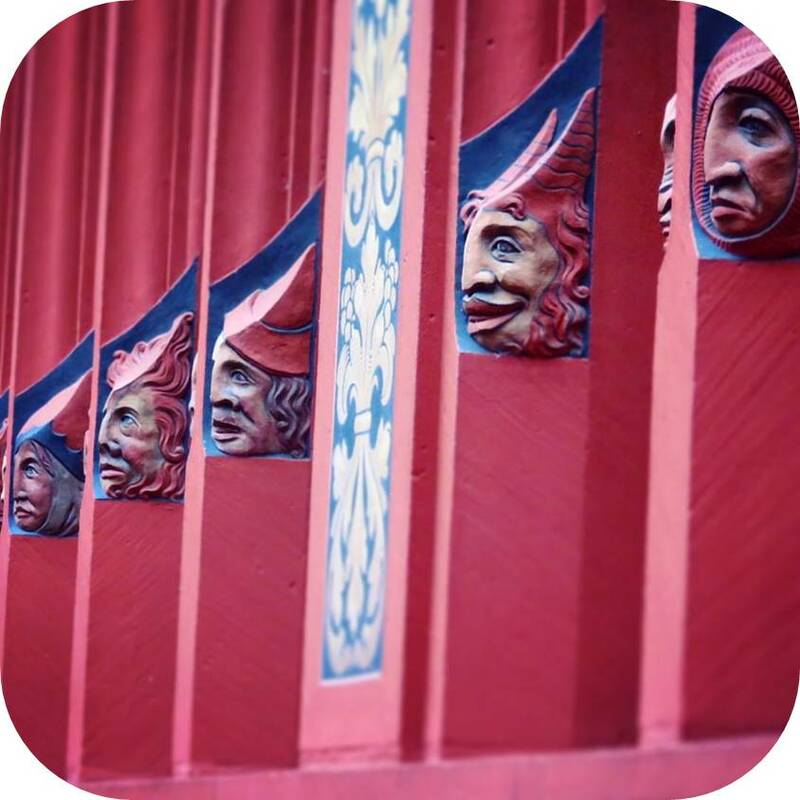 New Year's Eve is about making sure old acquaintances aren't forgotten (or so the song goes). We also took the opportunity to make some new friends. 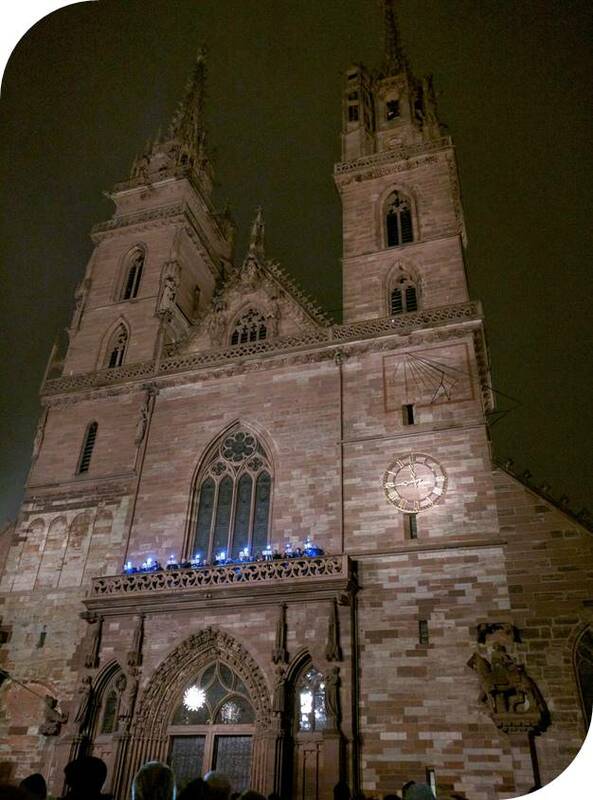 I noticed on Twitter that Roma and Russell from Roaming Required were also planning to ring in the New Year in Basel. We met up for a coffee in Basel on New Year's Eve and compared travel stories and experiences since we are both expats living in Europe (I'm an American living in Ireland, Roma and Russ are Australians living in London). I love taking the opportunity to meet online acquaintances in real life! 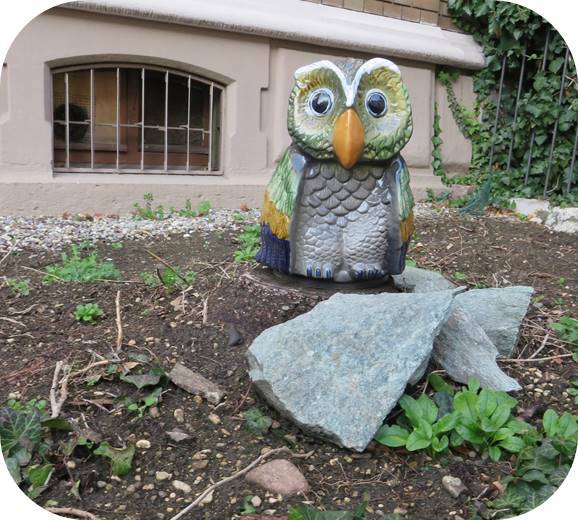 As we were leaving Basel, it's quirkiness struck us once again. 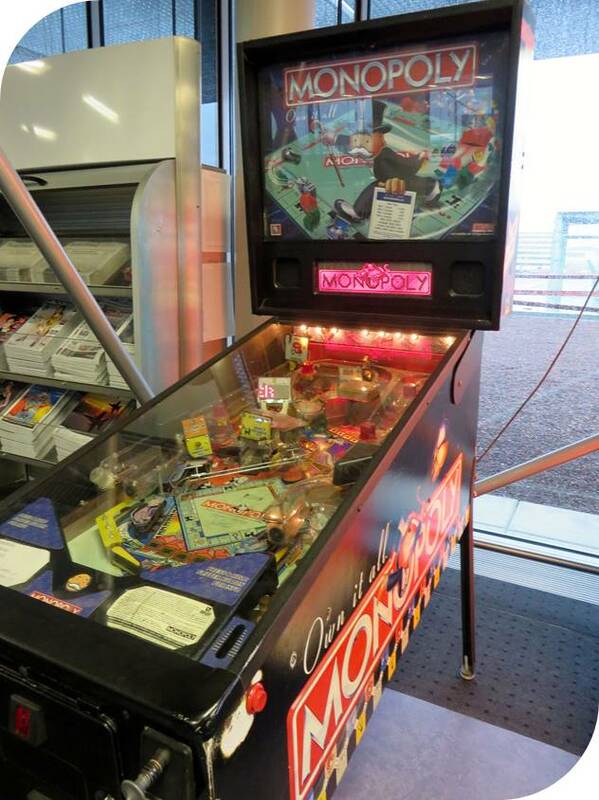 We were hoofing it through the airport to catch our flight but stopped in our tracks when we saw a pinball machine at the airport. That was about the last thing I was expecting to see and reinforced for me that Switzerland (especially Basel) is full of surprises. We popped some coins into the slot and played two rounds of pinball before carrying on with smiles on our faces to catch our flight back to Dublin. Wishing you all a happy and healthy 2016 full of "Viel Glück!". Where should we celebrate New Year's Eve in 2017? It's never too early to start planning! 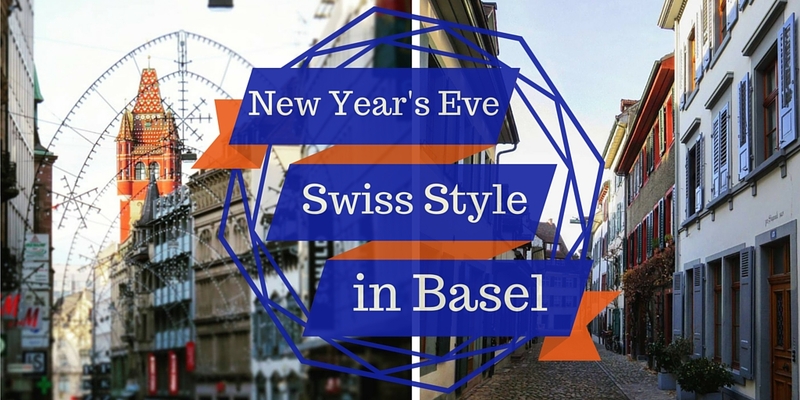 Experience Basel in December and celebrate New Year's Eve in Switzerland. 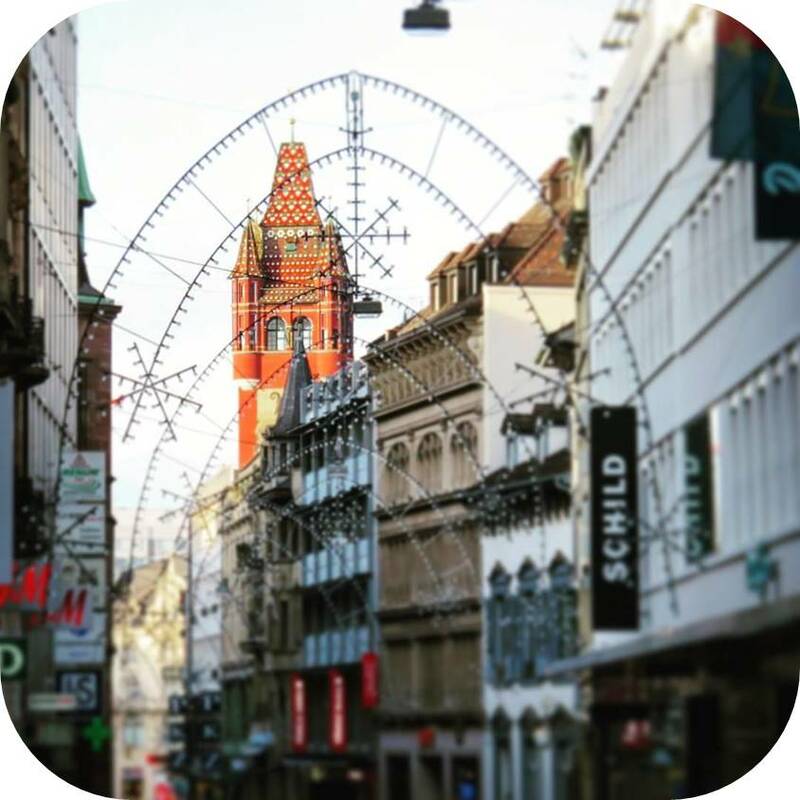 Find out why New Year's Eve is the perfect excuse to visit Basel in winter.